Thank you for your interest in Budding Artists. We believe in supporting our local community. 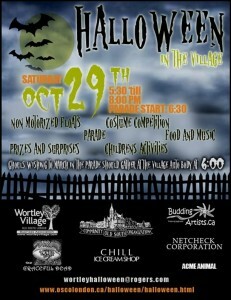 Three years ago, we co-founded ‘Halloween in the Village: Halloween Fair and Parade’ in Wortley Village in London, ON. Budding Artists continues to take a big part in the organization behind this popular community event. We also support many not-for profit programs and charities across Canada and overseas. We appreciate the wonderful work of many community groups and charities, and are happy to donate when and where we can. Regretfully, we cannot honour every request we receive. We consider each application carefully. Please submit requests at least three weeks in advance. Refer Budding Artists as a fundraiser and receive $50 in Budding Artists products and if the organization fundraisers over $1500, receive $100 in Budding Artists products or fundraising dollars. Fundraising dollars are used for fundraisers and taken off the final invoice.